The beginning of Elevated Minds Music Group was back in 1999, when a group of young people attending Dillard University decided to make music about the reality of life and their experiences compared to the music that was on radio and television. When hip-hop trio "Embassi" consisting of "JMayes, Hunter & Trane" formed the company Elevated Minds Music Group was born. 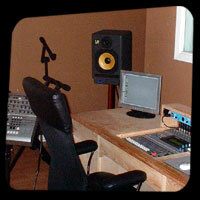 The company took on the task of building an artist friendly recording studio. The company soon built the Elevated Minds Recording Studio in Metairie "New Orleans Suburbs", and started opening the studio to local musicians for a low-rate to accommodate their low-budgets.